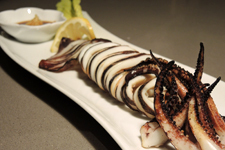 Whole grilled squid served with gin­ger, soy sauce and lemon. 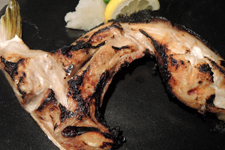 Yel­low­tail col­lar grilled served with daikon, green onions and ponzu (depend­ing on avail­abil­i­ty). 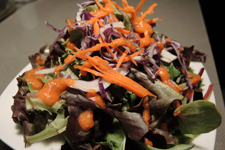 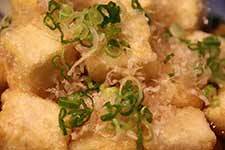 Gin­ger, miso or soy sesame dress­ing. 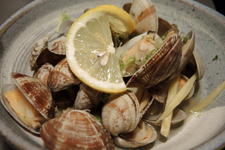 Clams steamed in sake, gin­ger and soy. 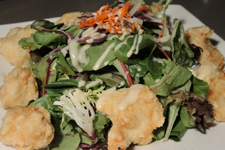 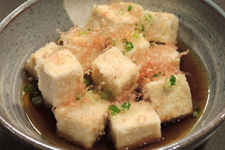 Tofu light­ly bat­tered and fried, served with soy miso dress­ing. 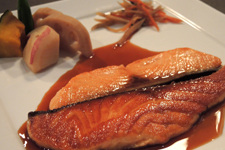 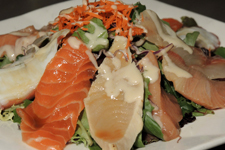 Salmon, tuna, yel­low­tail, octo­pus, white fish with soy miso dress­ing. 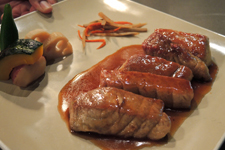 Pan-seared Ahi tuna with teriya­ki sauce (mirin, sake & soy).